Many Americans Still Cool To Mormon President : It's All Politics A fifth of the respondents said "no," which closely tracks the responses to the same question in annual polling since 1967. The only significant blip in that survey question occurred four years ago, when former Massachusetts Gov. Mitt Romney staged his first presidential campaign. The resistance to a Mormon candidate dipped slightly then after Romney addressed his faith in a speech aimed at evangelicals who don't consider Mormons Christian. The sun sets behind the Mormon Temple in Salt Lake City, April 2006. As former Utah Gov. Jon Huntsman declares his candidacy for president, Gallup is out with a new poll that suggests a significant percentage of Americans aren't ready for a Mormon president. Huntsman is a member of the Church of Jesus Christ of Latter-day Saints, the formal name for the Mormon Church. And he has a solid Mormon pedigree. His grandfather was one of the highest-ranking Mormon leaders and his father, a billionaire businessman, is also a regional official in the faith. If your party nominated a generally well-qualified person for president who happened to be Mormon, would you vote for that person? A fifth of the respondents said "no," which closely tracks the responses to the same question in annual polling since 1967. The only significant blip in that survey question occurred four years ago, when former Massachusetts Gov. Mitt Romney staged his first presidential campaign. The resistance to a Mormon candidate dipped slightly then, especially after Romney directly addressed his faith in a speech in Texas, which was designed to respond to some evangelicals who don't consider Mormons Christian. Romney, of course, is running again and is considered the current leader among Republican candidates for the White House. 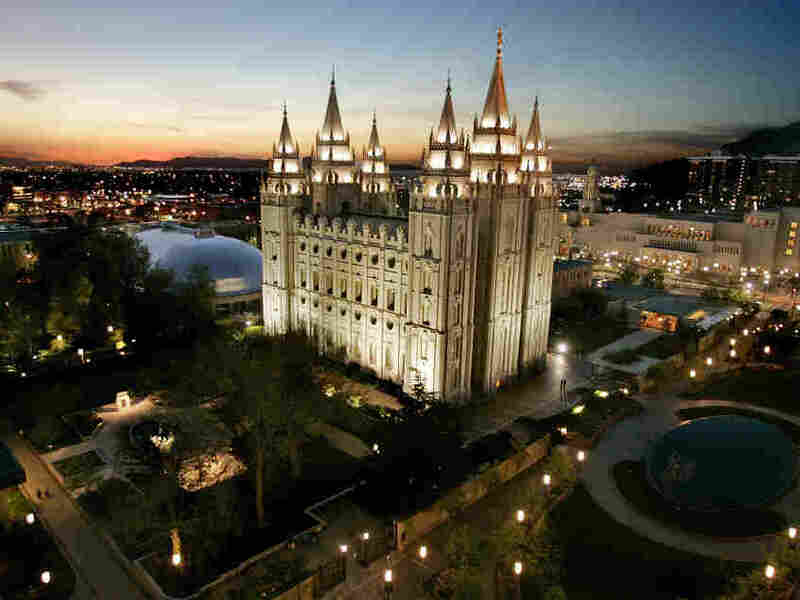 In a series of surveys in 2006, resistance to Mormon candidates was as high as 53 percent, depending upon the way the question was worded. In the recent Gallup survey, only atheists, and gays and lesbians, are treated more skeptically than Mormons. 32 percent of those interviewed said they would not vote for a gay or lesbian for president. Close to half of the respondents would shun atheists. Romney has been publicly active in his faith and has held local religious positions. Huntsman told Fortune magazine last year, "I can't say I'm overly religious," causing some Mormons and pundits to wonder whether he was distancing himself from the religion. "It's unclear whether Huntsman is intentionally charting a course to inoculate himself from a possible backlash against a Mormon contender," wrote Salt Lake Tribune reporter Thomas Burr last month in a story about Huntsman's faith. Burr is closely covering the Huntsman candidacy. He also noted that Huntsman has interest in multiple faiths. In fact, Huntsman told Fortune, "I get satisfaction from many different types of religions and philosophies." The Gallup survey also tried to measure resistance to candidates with other characteristics. Ten percent or less of the respondents said they would not vote for Hispanics, Jews, Baptists, Catholics, women, or blacks if they were their party's nominee. "The stability in U.S. bias against voting for a Mormon presidential candidate contrasts markedly with steep declines in similar views toward" other groups, says Gallup's Lydia Saad. It's been decades, Saad notes, since resistance to voting for women, blacks Jews and Catholics was in double digits. More important to Hunstman and Romney is the polling among Republicans. In the survey this month, 18 percent of the Republicans responding said they wouldn't select a Mormon nominee. Now, it's important to point out several cautions about such surveys. Gallup says it randomly polled adults 18 and older and doesn't say it screened for likely voters. "Likely voters" are people who say they are registered to vote and who voted in recent elections. Their responses are considered more meaningful when measuring possible voter behavior. The poll does not mention any specific candidates. The responses may change for candidates the prospective voter knows or comes to know, regardless of faith, ethnicity, gender or other attributes. There is also a phenomenon in surveying known as "social desirability," in which some people give answers they believe to be socially desirable. For example, someone who may be resistant to voting for a Hispanic candidate may not reveal that to a pollster, even when guaranteed confidentiality, because the respondent may fear being perceived as racist. It may be difficult for both Huntsman and Romney to truly measure any anti-Mormon bias as they continue their campaigns for president. Romney addressed his religion directly in that speech in 2007, when he declared, "I will put no doctrine of any church above the plain duties of the office and the sovereign authority of the law." When Romney dropped out of the race, he didn't mention religion. But some pundits believe his failure to gain traction among some Republican evangelicals contributed to his exit from the campaign.